Prairie Plaza offers a unique array of benefits for any person who is ready for relief from work, responsibility, and expense of home ownership. It provides personal security, and independent living without the burden of home maintenance. The Rawlins County Health Center is just minutes away. If you have an appointment, at a Rawlins Clinic and need a ride, call 785-626-3351 to schedule a ride with the Rawlins County Community Shuttle. WHY CHOOSE PRAIRIE PLAZA AS YOUR RETIREMENT HOME? Beautiful prairie community where you can enjoy being surrounded by nature. Our Atwood hospital is just minutes away. The apartments feature a fully equipped kitchen, patio, separate bedrooms, and private baths. There is plenty of space in each apartment for visitors. 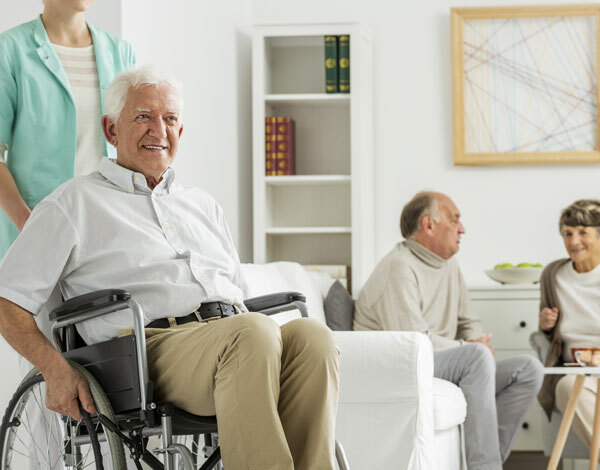 Maintain your independence while still receiving the security and peace of mind you need. 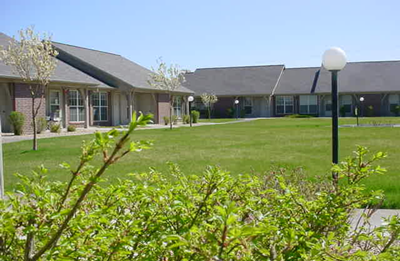 Prairie Plaza is a retirement home located at 906 Logan Street, just off of Eighth Street, and is SE of Lake Atwood. Guest parking is available on the north side of the plaza on Logan when visiting residents or attending a club room event. Please do not block access to sidewalks, driveways and garage access for residents. Prairie Plaza offers a unique array of benefits for any person who is ready for relief from work, responsibility, and expense of home ownership. It provides personal security, and independent living without the burden of home maintenance. A “No Smoking” policy is enforced for all residents and visitors and smoking is not permitted on the Prairie Plaza property. No pets are allowed without prior Administrative arrangements. The Rawlins County Health Center is just minutes away. If you have an appointment, at a Rawlins Clinic and need a ride, call 785-626-3351 to schedule a ride with the Rawlins County Community Shuttle. Prairie Plaza is located on land owned by the Rawlins County Health Center which is responsible for the development and property management. This will ensure all residents of our retirement home that ownership will remain in the community and the management will be responsive to resident family concerns. Your apartment home comes unfurnished and is yours to furnish as you choose. Each apartment has a large living area, separate bedrooms, private baths, fully equipped kitchen, private patio, and is individually heated and cooled. Picture hangers, etc., may be used with Maintenance Department approval. Each apartment comes with a single car garage and an automatic door opener. Right outside of every apartment home is your very own storage closet to store additional items. The club room may be reserved by residents only, for private parties, club meetings, social activities, and family get-togethers. Both one and two bedroom apartment homes have ample room for visiting family, children, grandchildren and guests. The large windows will let in lots of natural light and provide each apartment with a view of the landscaped courtyards. Our retirement community of Atwood was born in 1875 and is located in the limitless prairie of NW Kansas. The city is surrounded by the natural beauty of golden wheat fields, lush green farms, and ranches. For your enjoyment of the outdoors, Lake Park has a well-lit concrete walking path that surrounds the 43-acre lake. The Atwood Country Club offers a beautiful and challenging 9-hole golf course. The Hayden Nature Trail is a natural wildlife habitat enjoyed by residents and visitors. Nationally known as some of the best hunting ground in the country, Rawlins County hosts pheasant hunters from across the country each Autumn. Wildlife—deer, quail, dove and the wild turkey also delight our native and visiting outdoorsmen. So, if you are hunting for a place to retire, what are you waiting for? Get packing . . . for the prairie!